After numerous requests I’ve decided to start adding full drum transcriptions to the site. They’re free and you can find them all here on this page. I’ll be adding new ones every week so make sure to join us on Facebook and Twitter to get the latest. 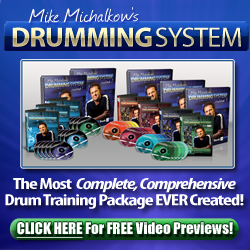 There are far too many poorly produced drum charts on the web so I thought It’s about time someone raised the bar-line and started producing high-quality transcriptions that are both accurate and easy to read… Ninja Style!